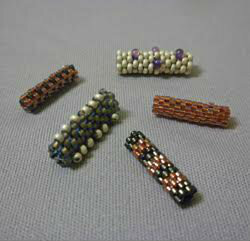 Use herringbone stitch using Miyuki Delica cylinder seed beads to make beaded beads. 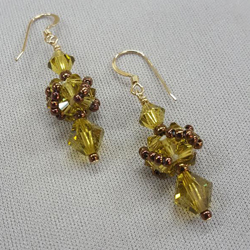 Use these beads along with Swarovski crystals to make a pair of earrings. 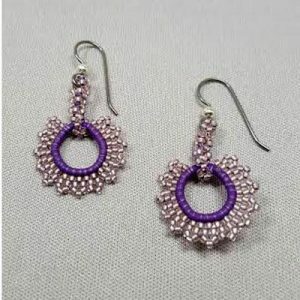 Use Toho seed beads in brick stitch with a rubber ring to make a fun pair of light weight earrings. 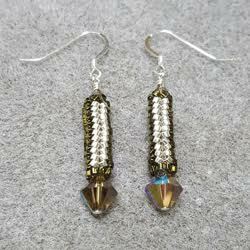 In this project, the high contrast thread and the ring are part of the design. Registration is through Kirkwood Community College. 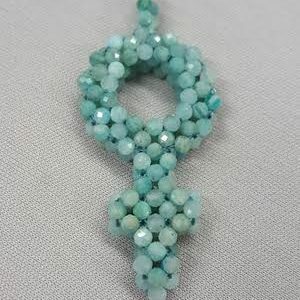 Register at: www.kirkwood.edu and go to Continuing Education and then search for Beadology Iowa under the instructor search. On site registrations will be taken if registration through Kirkwood meets minimum requirements of two participants. 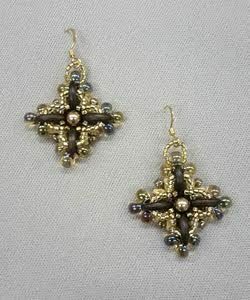 Instructor: Karen Kubby. 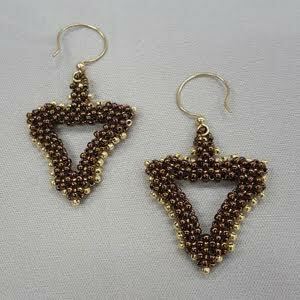 Create diamond shaped earrings out of CzechMate crescents, superduos, Delicas, 2 sizes of Toho seed beads, and a Swarovski pearl. 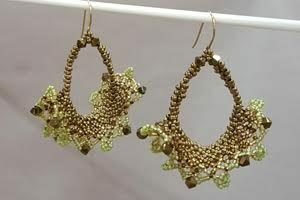 This pattern is by Estelita Mayac Chiles and uses circular netting. 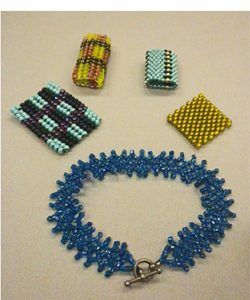 This session helps people follow the pattern published in the Dec 2018/Jan 2019 Beadwork magazine. Participants must have or purchase a copy of the magazine to register. If you have the magazine already and wish to register, please call or come in to the store. 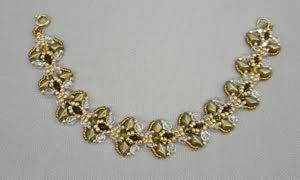 The registration fee if you bring your own magazine is $60.